In addition to our Material Library, we have an exciting and informative library of books and publications. Manual of Steel Construction: Allowable Stress Design. 9th ed. Architectural Woodwork Quality Standards Illustrated. 7th ed. 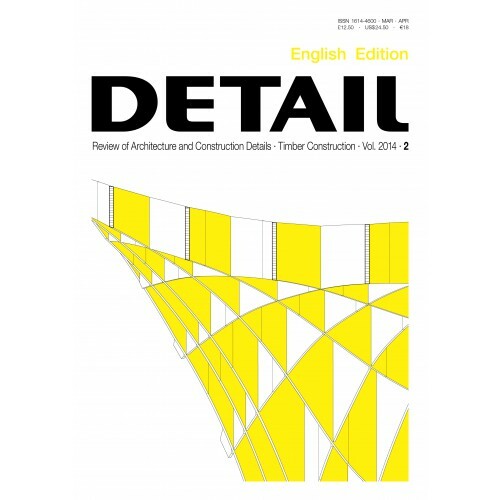 Masonry Design and Detailing: For Architects and Contractors. 5th ed. Time-Saver Standards for Architectural Design Data. 5th ed. Horrocks, A. R., and S. C. Anand, eds. Kolarevic, Branko, and Kevin Klinger, eds. Portland Cement Plaster / Stucco Manual, 5th ed. Wellner, Pamela, and Eugene Dickey. Wilson, Alex, and Mark Pepkorn. Green Building Products: The GreenSpec Guide to Residential Building Materials. Woolley, Tom, Sam Kimmins, Paul Harrison, and Rob Harrison. Green Building Handbook - Volume 1. Woolley, Tom, and Sam Kimmins. Green Building Handbook - Volume 2: A Guide to Building Products and Their Impact on the Environment. Zijlstra, Els, and Alex de Ruiter, and Ilse Steenbrink, eds. Constructing Landscape: Materials, Techniques, Structural Components.